ETI Solid State Lighting Reva Collection LED Ceiling light uses 22-Watt lamp that has voltage rating of 120-Volt AC. Lamp has color rendering index of 82 and color temperature rating of 4000K to ensure optimal light level in the surrounding. LED Lamp offers 1640-Lumens of bright light output. It measures 16-Inch Dia x 3.8-Inch. This flush mountable ceiling light in round shape, comes with average life of 50000 hours. It is ideal for commercial offices, retail, restaurants, schools, hospitals, hotel/motel locations, bedrooms, living rooms or recreational rooms. 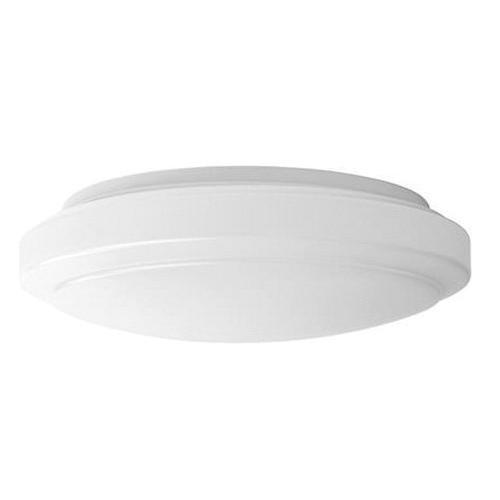 Ceiling light is UL-cUL listed and RoHS compliant.